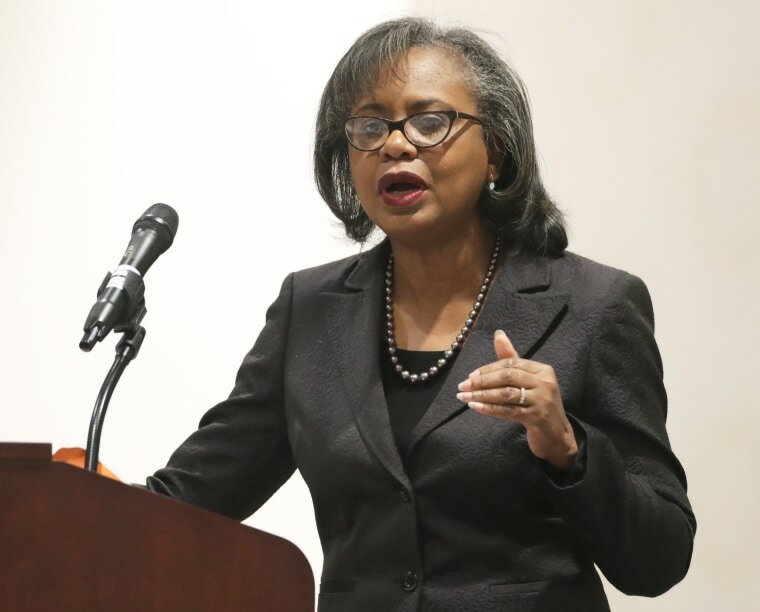 SALT LAKE CITY — Anita Hill said Wednesday her pivotal 1991 Senate testimony about sexual harassment by a Supreme Court nominee sparked a wave of awareness, but lasting change failed because of a lack of clear leadership and a reluctance to confront harsh realities. "Setting them up this way does a disservice not only to the primary witness, but it does a disservice to the courts, and it does a disservice to the American people who want to know how to respond to these situations and they want representation that helps them understand," she said. Women who come forward with sexual misconduct allegations are often portrayed as "crazy, vindictive, promiscuous or prudes," reactions that explain why many don't come forward sooner, Hill said. Some of the senators who questioned her remain on the Senate Judiciary Committee, including Republican Utah Sen. Orrin Hatch. She recalled how he read from a copy of the book "The Exorcist," suggesting a passage had inspired her to invent an allegation. Hatch is again at the center of the process, supporting Kavanaugh and questioning why Democrats didn't bring forward allegations against him earlier. Hatch has also said the committee should hear from Ford, and "then we should vote." She challenged the enthusiastic Utah audience, who gave her a spontaneous standing ovation at the start of her speech, to think about what they might do next if they're disappointed with how things unfold in the coming days. "Will you engage your own institutions in change? Will you engage politically?" she said. "I can tell you that I will continue to use my voice."